Posted on January 29, 2010. 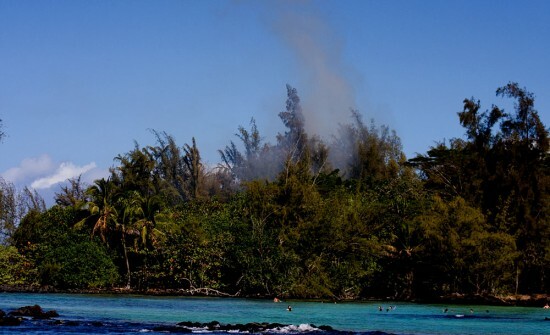 A fire burns in the trees at Kealoha Beach Park in Keaukaha Friday afternoon (Jan 29). Hawaii County Fire Department Chopper One performs a water drop on a set of trees on fire at Kealoha Beach Park in Keaukaha Friday afternoon (Jan 29). Fire/rescue crews responded to a fire at Kealoha Beach Park Friday afternoon (Jan 29). 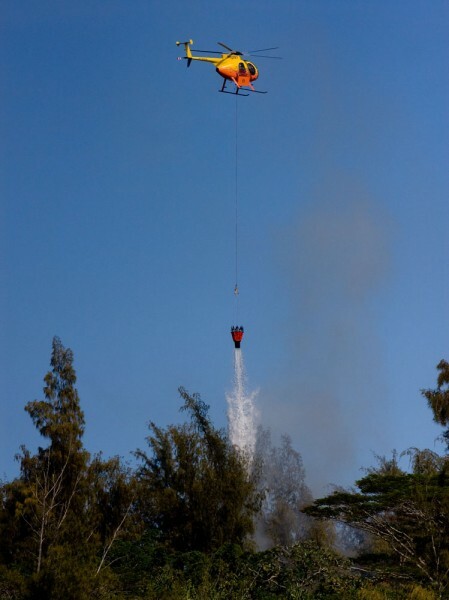 With the fire burning in the treetops Chopper One was called in to perform water drops using ocean water nearby. The helicopter continued to perform water drops until 3 p.m.